Create several users as described in “Users” in the Security Administration Guide. Configure each of these users as a workflow user, as described in “Managing Workflow Roles, Users, and Tasks” in Managing Productions. 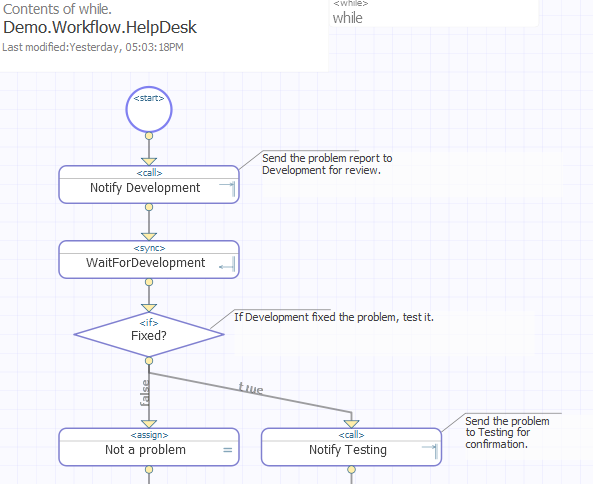 Assign the workflow users to these workflow roles, as described in “Managing Workflow Roles, Users, and Tasks” in Managing Productions. Select Interoperability > Test > Business Hosts. Log into the InterSystems User Portal as each of the users and use the Workflow Inbox to manage the tasks. You might need to configure the namespace's default web application so that it accepts password authentication but does not accept unauthenticated access. For details, see in “Applications” in the Security Administration Guide. 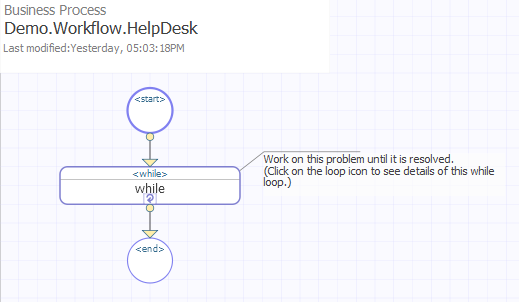 The HelpDesk business process consists of a while loop, during which a problem report is sent, first to the development group for a problem to be fixed, and next to the testing group for the fix to be tested. 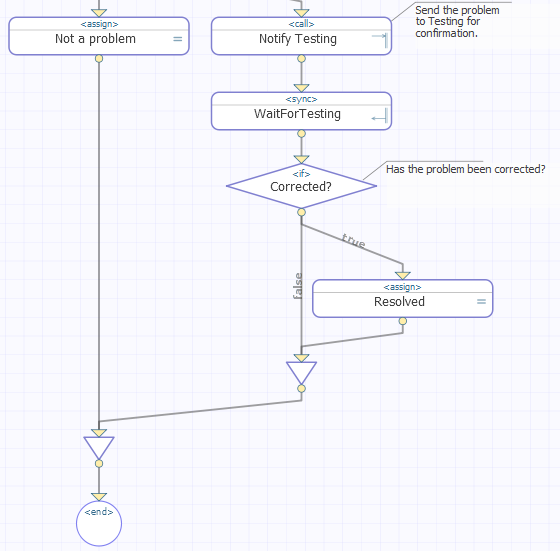 Upon completion of this sequence, the while condition “Resolved” is satisfied, and the business process ends, returning its final response to its caller. For information about the ObjectScript functions $ZDT ($ZDATETIME) and $H ($HOROLOG) used here , see the chapter “ObjectScript Functions” in the ObjectScript Reference.